Can we find the basis for anything we believe in the Old Testament? Home > 2002 > Authors > Bible Study > Lynnford Beachy > March 02 > Miscellaneous > Miscellaneous Q&A > Newsletters > Questions and Answers > Can we find the basis for anything we believe in the Old Testament? We should not find our basis for anything we believe or practice in the Old Testament. I think you would have had a very difficult time trying to convince the writers of the New Testament of this theory. Quite contrarily, there are many things we believe and practice which find their basis in the 39 books of the Old Testament. For example, the creation story as given in Genesis chapter one is recorded nowhere in the New Testament. Do we believe it? I certainly do. The story of the fall of Lucifer as recorded in Isaiah 14 and Ezekiel 28 is found nowhere in the New Testament. Do we believe it? I certainly do. The prohibition against a man marrying his sister or cousin is nowhere found in the New Testament. Do we obey this prohibition? I certainly do. The instruction to punish children with a rod is nowhere found in the New Testament. Do we believe this counsel? I certainly do. The list goes on and on. There are many good principles that we practice as Christians, which are only found in the Old Testament. Jesus said, “Think not that I am come to destroy the law, or the prophets: I am not come to destroy, but to fulfil.” (Matthew 5:17) Anything from the first 39 books of the Bible, that has been done away with, is clearly made known in the New Testament; such as the sacrificial system, the Levitical priesthood, the feast days, etc. These are mentioned particularly in the New Testament as having passed away, and there would be no need for them to be mentioned specifically if the entire 39 books of the Old Testament have been made null and void. 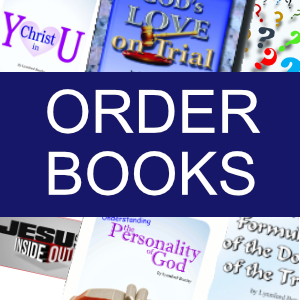 Furthermore, if we wish to discard the entire 39 books of the Old Testament we would have to discard much of the writings of the New Testament as well, because much of it is made up of quotations or allusions to the Old Testament. In addition to that, whenever the New Testament mentioned the Scriptures it was specifically referring to the Old Testament, because the New Testament was either not yet written or in the process of being written, and what was written was very scarce, with very few copies to go around. Paul wrote to Timothy and said “that from a child thou hast known the holy scriptures, which are able to make thee wise unto salvation through faith which is in Christ Jesus. 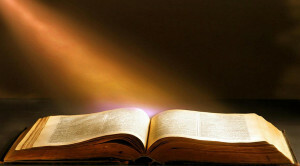 All scripture is given by inspiration of God, and is profitable for doctrine, for reproof, for correction, for instruction in righteousness: That the man of God may be perfect, throughly furnished unto all good works.” (2 Timothy 3:15-17) When Paul wrote this He was speaking specifically about the Old Testament. Based on all the verses we just read, it is extremely evident that none of the apostles had the slightest idea that the Old Testament Scriptures were null and void. To them, that was their Bible, what they used to gain comfort, learn of salvation, learn doctrine, and convince the gainsayer. I am certain that nobody could have convinced Paul, James, John, or the other disciples that the Old Testament was null and void and that they should not believe or practice anything that was based upon it.